Oh, exciting! Dublin’s culture vultures will be delighted to learn that the wonderful Culture Night is no longer the only way to enjoy late night access to the city’s many galleries and creative spaces. 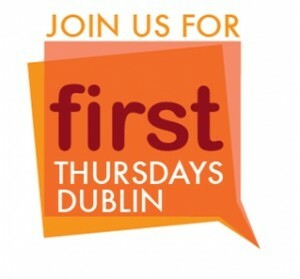 Thanks to a superb initiative by the Temple Bar Cultural Trust - and inspired by London’s First Thursdays - tonight sees the inaugural First Thursday Dublin where 17 participating venues will run artistic and cultural events across the city. Check out the TBCT blog for the full list of what’s on offer from 6-8pm tonight, from art and photography exhibitions to tours of historical buildings and more. Btw can't sign in with blogger for some reason, keeps coming up anonymous! Hello Anonymous, yes, I've been having the same issues with blogger this week so have resorted to using the Name/URL option rather than trying to sign in with my Google Account. Don't know what the problem is but it's bloody annoying. The First Thursdays are the first Thursdays of the month as opposed to every Thursday - I don't know if it's happening indefinitely but if you check the TBCT blog (link in post above) it will give you the next few dates. I've been having the same issues signing in with my Google account so I'm using the Name/URL option for the moment. So annoying! The First Thursdays happen every month as opposed to every week and if you check the TBCT blog (the link is in the post above) you'll see the next few dates they're taking place.